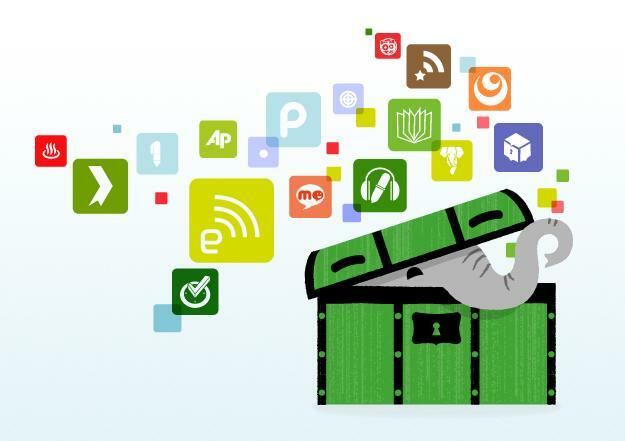 Evernote isn’t just an app anymore, it’s a platform. And the company wants developers start planting the seeds to get its ecosystem blossoming. On Tuesday, Evernote announced the launch of its newly redesigned developer site. It provides Evernote’s third-party developers with better access to resources, news, and documentation surrounding development projects using the Evernote API. The improvement of the developer site is the latest in a series of moves towards creating an ecosystem around Evernote, which began as a simple app primarily geared toward archiving and organizing bookmarked items. It has since expanded to include services such as the ability to manage expense accounts, generate location-specific notes, save and share snippets of design code, and now, its own apps. In addition to the API, the company launched Evernote Trunk, a mini app store, and sponsored the Evernote Designer Competition last year. Some of that confidence is certainly attributable to the company’s meteoric growth over the past year. In June, the company announced that it was profitable; shortly thereafter, it secured an additional $50 million in Series D funding, bringing it to a total of $95.5 million in funding to date. In December of 2011, Evernote announced at the LeWeb conference in Paris that it had surpassed 20 million users. With such a substantial fan base, it will be interesting to see where Evernote turns its attention down the road. While enhancements such as Tuesday’s release of a speech-to-text update for the Android app will undoubtedly continue, it’s clear that Evernote applications are ranging ever-further afield of its original concept. Last summer, the company acquired Skitch, the creator of the photo-annotating and sharing app of the same name. In December, the company launched two new apps – Evernote Food and Evernote Hello – geared toward the curation of dining experiences and contact information, respectively. The increased focus on social networking may signal a departure from enterprise-centric development, opening the door to developers more interested in the social aspect of the app. What remains unclear is whether social sharing tools such as Food will be as successful as task-based apps. In an interview with GigaOm last July, Libin said that he saw Evernote distinguishing itself from other Silicon Valley giants like Zynga and Facebook through its emphasis on productive – rather than leisure – time. As the developer community seeking to harness Evernote grows, so too will the number of possible directions Libin and Evernote can take.